ESSEX, JERICHO-RICHMOND VT ROUTE 117 Archives - Count On It! 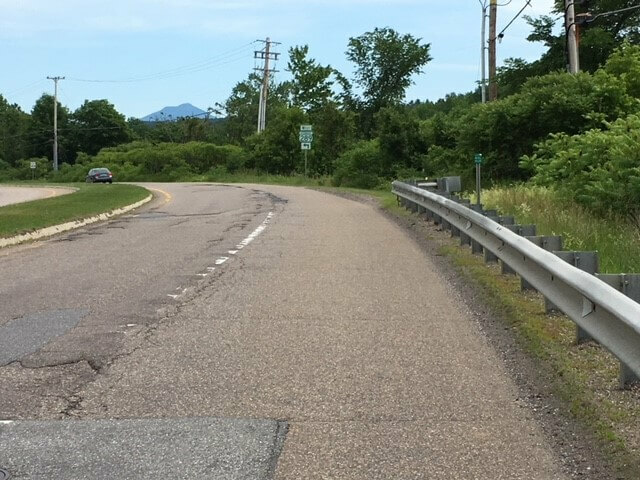 The Vermont Agency of Transportation along with Pike Industries Inc. will begin this 2018 – 2019 roadway rehabilitation project of VT Route 117 beginning in Essex where the State Highway begin to the intersection Route 2 in Richmond the week beginning June 18, 2018. The anticipated completion date is October 11, 2019. This project will consist of rehabilitation of the existing roadway sub-base, new traveling surface with shoulder widening (where feasible), drainage, guardrail and signage upgrades, new signal at the intersection of 289 off ramp and VT 117 along with other incidental items throughout the project. During the construction period, motorists should expect traffic flow to be maintained at all times with one-way alternating traffic during construction hours with control present. 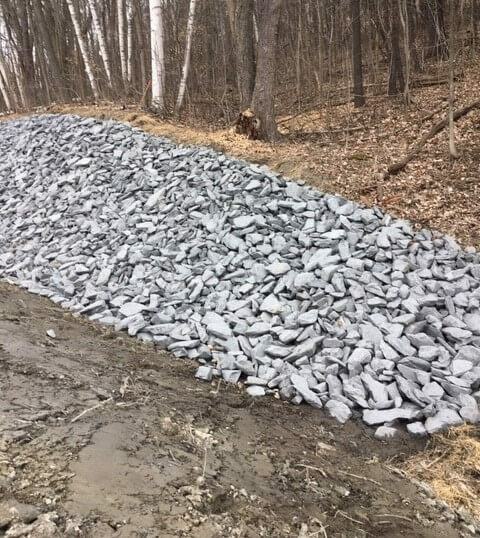 Motorists should also expect to be traveling on a gravel surface from approximately mid-July 2018 through August 2018.from Essex where the State Highway begins to the Jericho town line. Anyone with questions or concerns regarding the project may contact Stephanie Barrett, Public Outreach Coordinator at 802-862-6085. • Continued grinding the existing pavement from Barber Farm Road to the Essex/Jericho town line. • Signal work at the intersection of VT 289 and VT Route 117. 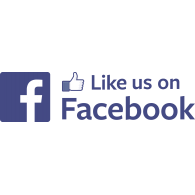 • Continue drainage improvements between the Essex/Jericho town line and Skunk Hollow Road. • Shoulder cleanup between the intersection of VT Route 117 & US Route 2 and the Essex/Jericho town line. • Guardrail work throughout the project limits. Traffic control will be present allowing for one-lane of alternating travel within the construction zones. Motorist should expect delays and use caution. 7:00 a.m. Continued drainage & slope improvements from Barber Farm Road to the Essex/Jericho town line. 7:00 a.m. Guardrail work between VT Route 2/117 intersection and Rogers lane. 8:30 a.m. Continued grinding milling between Rogers Lane and Bradley Bow Road. Be aware that travel is reduced to one lane with traffic control present within the construction zones. 7:00 a.m. Continued drainage improvements from Barber Farm Road to the Essex/Jericho town line. the intersection of VT Route 117 & US Route 2 to the Essex/Jericho town line. • Grinding the existing pavement from the intersection of VT Route 117 & US Route 2 to the Essex/Jericho town line. 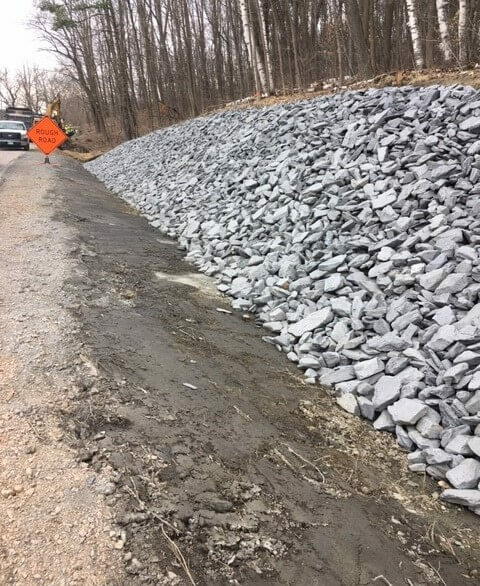 • Continue slope repairs between the Essex/Jericho town line and the intersection of VT Route 117 & US Route 2. • Installation of barrier between the Essex/Jericho town line and the intersection of VT Route 117 & US Route 2. • Roadway excavation between Barber Farm Road and Bradley Bow Road. Continued drainage and slope clearing between Skunk Hollow Road and the Essex/Jericho town line. Continued drainage and shoulder work between Skunk Hollow Road and the Essex/Jericho town line. Traffic is reduced to one lane with traffic control present.